Raleigh Motus Step-Through in stock now, and available for test rides and sales….. The Raleigh Motus Step-Through has entered the electric bike market, making quite a splash, and rightly so. At only £2,000, the Motus represents huge value for money and is highly equipped with some very nice components and features that are found only on some of the more expensive electric bikes. In a previous news article, we featured the crossbar version, and went into some detail about this wonderful electric bike. The Raleigh Motus step-through has an identical specification to this in every respect, and is as equally enjoyable to ride. Talking of which……taking a test ride is very important as far as electric bikes are concerned. Here at OnBike, since the first day we opened, we’ve always believed in offering potential customers the opportunity to test ride any of our bikes. We’re very fortunate in our location as there are numerous hills available as well as quiet country roads that allow customers to really get to know the bikes. 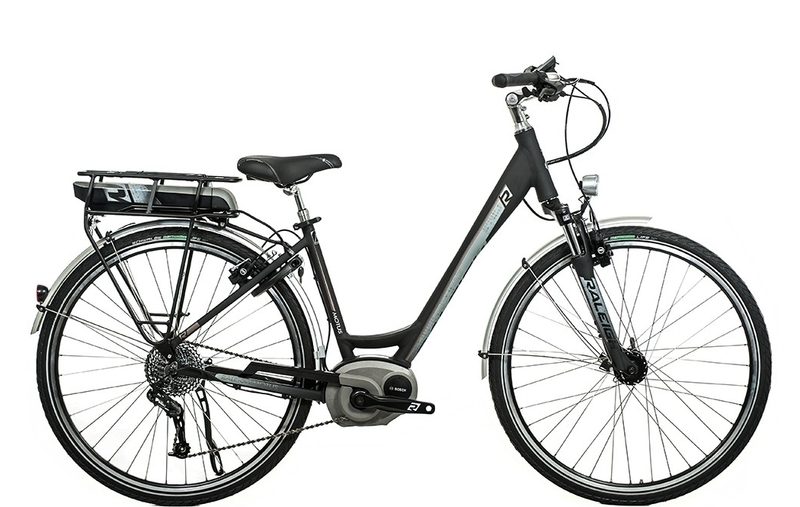 Yes, the Raleigh Motus step-through is a Bosch driven electric bike as are many, but it’s certainly not true to assume that all bikes with a Bosch motor ride the same. There are many elements that add to the perfect ride such as ergonomics, geometry, and the like. Rest assured, here at OnBike you’ll receive impartial advice, the opportunity to test ride as many bikes as desired, and the very best customer service that allows an informed decision to be made. Koga ION Drive – What’s it all about?